^ Simon Sebag Montefiore; 平野和子訳 (2009年6月15日). その時、歴史は生まれた 世界を変えた名演説集. 清流出版. 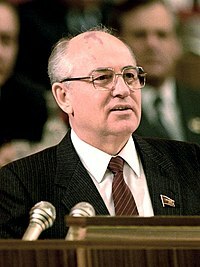 ^ "Gorbachev endorses Putin in election and says Russia is serious partner of West", Times, November 29, 2007.